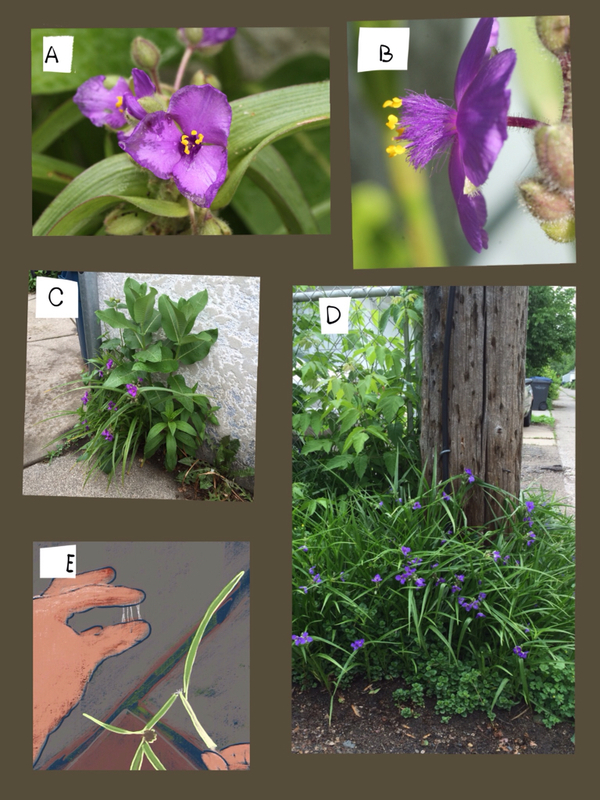 A) Spiderwort, Tradescantia sp. The hairy sepals and large bracts indicate T. bracteata, but at least two other species are present in MN as well hybrids and garden varieties. B) The bright, gaudy colors and feathery stamens give Spiderworts an almost tropical look. In fact, Tradescantia is the only native representative of the largely tropical Commelinaceae (Spiderwort family). C)It does well in marginal growing situations, like the cracks between my garage and sidewalk. D)One of my favorite alley "weeds". By July it has mostly faded into the background, but it flowers for most of June in Minneapolis. Each flower only lasts a morning, turning into a gooey mass in the afternoon. 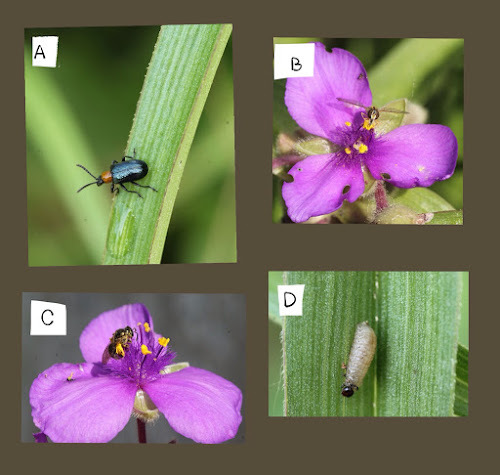 E)My daughter Naomi showed me that stems of Spiderwort are very juicy and sticky. It is used medicinally by a number of Native American groups, and is reported to be a refreshing and rehydrating trail food. While photographing the plant, I spent some time just watching to see what insects I might observe. A) A Leaf Beetle, Oulema sp. There are a number of very similar looking species that all feed on Spiderworts. It also closely resembles the Cereal Leaf Beetle, O. melanopus, which feeds on various grasses and can be a serious pest. B) Unidentified fly, doing its best to resemble a bee. 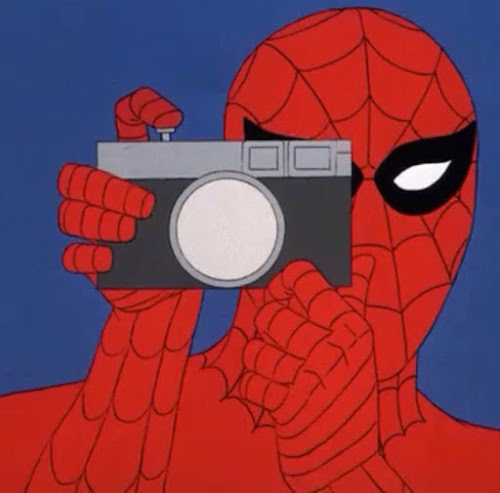 I've had the theme song from the old Spider-Man cartoon the whole time I've been working on this post and it's sort of driving me crazy . . . Does whatever a . . .